“In the north climate change is happening now. Northerners are experiencing unfamiliar ice travel conditions and wildlife patterns, and thawing permafrost under roads and runways. To adapt, they need the best information available. 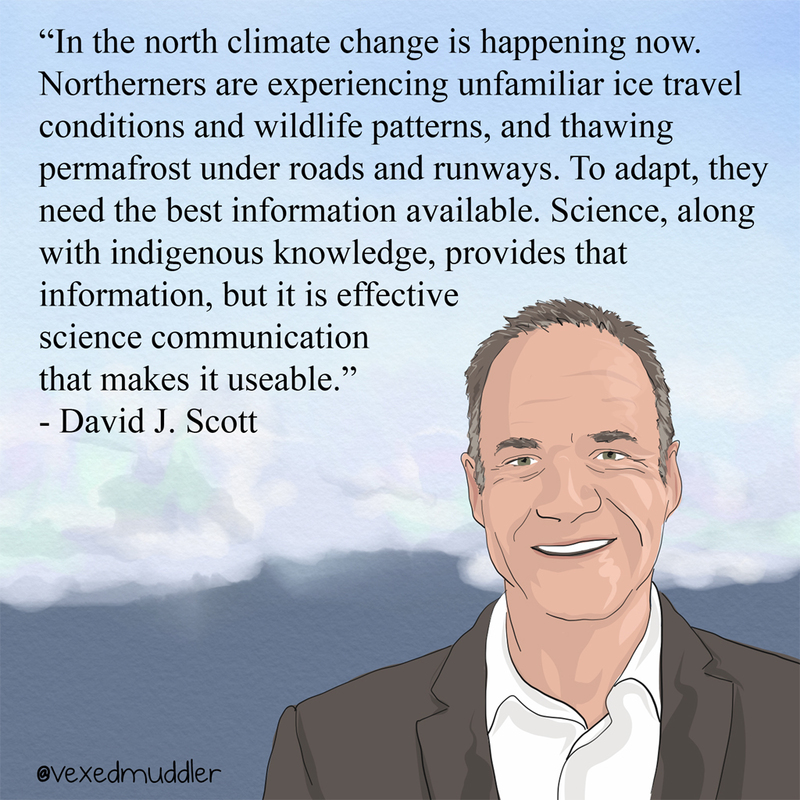 Science, along with indigenous knowledge, provides that information — but it is effective science communication that makes it useable.” – David J. Scott, president and CEO of Polar Knowledge Canada. Originally posted on September 29, 2016.